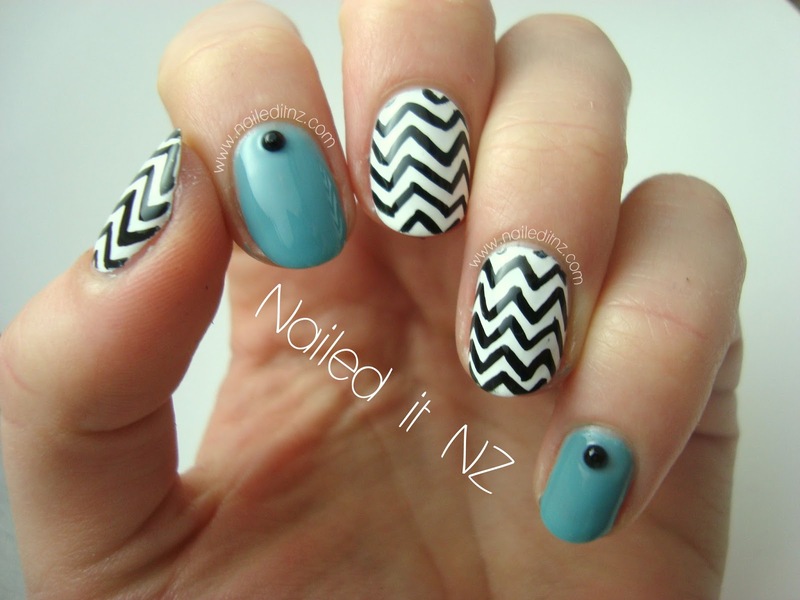 Chevron Zig-Zag nails + teal nail polish review! Today I have... lots of photos! I've recently gone a week without nail polish (simply because I've been too busy to paint them), so when I did these it felt wonderful! I had been planning them out for a few days beforehand, and thankfully the idea actually worked when I tried it out on my nails. The teal nail polish I used is one I'm reviewing from Born Pretty Store. It's great! A shade of one of my favourite colours and only needs a couple of coats. Can't complain at all! Here's a swatch of the nail polish just by itself that I took ages ago, when I first received this polish. This photo was taken outside, hence the much better lighting! 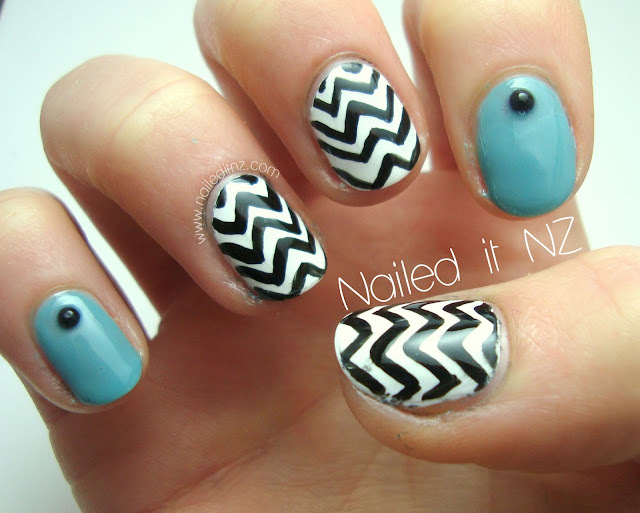 I did the zig-zags the same way I always do - check out my tutorial if you want some pointers. I used some old rhinestones I have from Born Pretty Store as well, as you can see on the pinky and index fingers. You can find them here! And here's the right hand. I felt so out of practice while doing this, even though it had only been just over a week! I haven't had a nail-art-dedicated weekend for ages now, think I'll have to do a bunch of designs I've promised people this weekend. Also I need to make a video editing program work on my new computer. I'm having no end of problems with Windows Movie Maker, and I'm ready to give up on it and try a new program! My poor semi-abandoned YouTube :(. 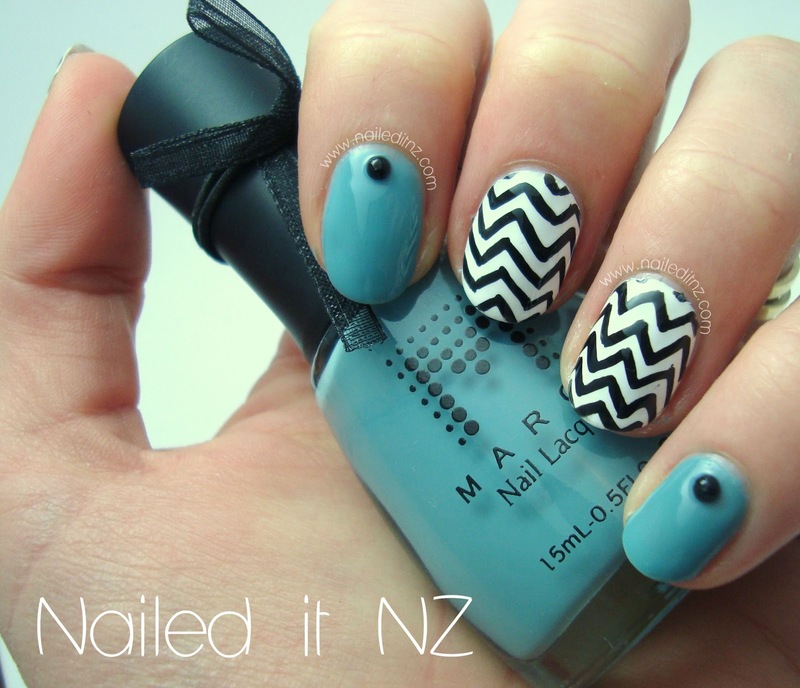 Anywho, so if you like the nail polish featured in this manicure feel free to go buy it, here! It's #2, but I'm feeling a need to try out the rest of the collection. Those bows are super cute, too! Born Pretty is a fantastic site for nail art, I want ALL of their supplies. You can use my coupon code for 10% off your order too - plus it's free shipping. It's weird that I'm so excited about this, but I got a new app on my phone which lets me watermark photos really easily. This means that I can update my instagram with nail art sneak peeks now! I didn't do it much before because of nail art thieves but now I can post away. This is my first one! The app is Photo Wizard Free, and I think it's just for iPhones. Sorry android users! I recently got an iPhone 4S and am never going back! 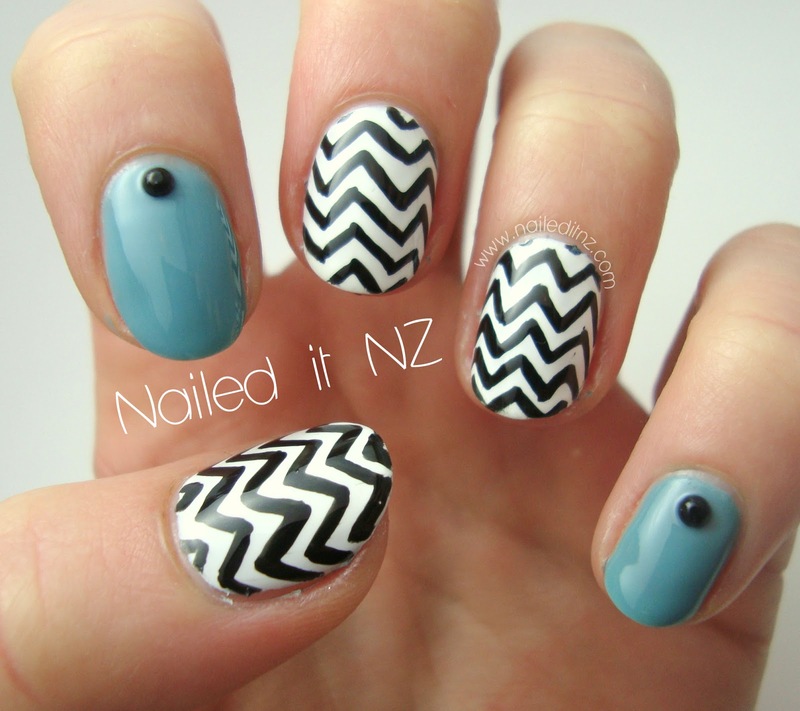 My instagram is @naileditnz. Nail art essentials - the brushes. $20 voucher giveaway for Born Pretty Store! 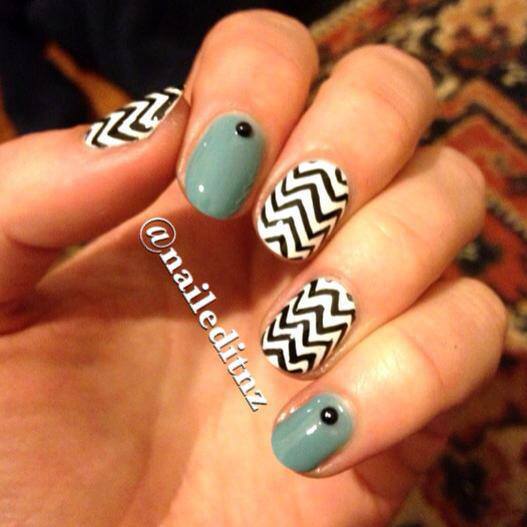 Nautical nails - anchors & chains! My top 32 nail polishes!